This post will be about a script I wrote and some interesting things I learned to write it. This script lets you upload and update multiple user profile photos for multiple user profiles in SharePoint 2013. There are many post on how we can rewrite the PictureURL property in the user profile object and assign it a custom value, but my script does not work that way. This script is emulating on what is happening in one popular out of the box scenario for importing user profile pictures, from AD. The inspiration for this script came from an issue (of course) that one of my colleague have with one of our customers. The customer has some complex domain structure. They have around 16 domains and even federation. So the customer of course wants their SharePoint users to be able to have profile photos in their SharePoint profiles, so we have User Profile Synchronization in place and it is synchronizing the Picture user property from the AD attribute thumbnailPhoto. The users however can edit their profile picture and they upload new photos. The issue is that since some CU installation this year, I am not sure, but I think it was April 2014, when a full synchronization is launched in the User Profile Application, the pictures that are uploaded by the users are lost. So my colleague ran the synchronization first on Staging environment that is almost identical to the Production, it has similar configuration of the User Profile Service Application and of course we lost the pictures that the user have uploaded. The Production environment however was not touched, but soon or later we had to apply some property mapping change and run full synchronization on Prod. too. We needed a way to get the profile pictures from Prod. reupload them to Staging for the correct profiles, then run full synchronization on Prod. and reupload again the user profile pictures. And here I come with my powershell skills and some free time. As I said above I came across many scripts for editing the PictureURL property of the UserProfile object, but this option was not acceptable for me because in SharePoint we have 3 sizes of user profile photo thumbnails. I first created the script to download the biggest available picture thumbnail and save them under unique name that can later help me to determine to which account the picture belongs. I did this by getting the values of the PictureURL and the LoginName of the profiles and then simply download the largest thumbnail of the photo. You can get all the profiles in a User Profile Application with the snipped below. You will need a site collection URL to determine the service context and run it under Farm account. Of course the things are a bit different in scenario with multiple User Profile Applications or if the application is Partitioned(for multi tenant deployment). And now I had all the profile pictures from Prod. and we had to figure out how to upload them on Staging and "connect" them to the correct account. And here comes the interesting part. So normally the pictures for the user profiles are imported from the thumbnailPhoto, but we have a URL to picture for value of the PictureURL property and the thumbnailPhoto, contain just a picture as binary. As we know after synchronization we need to run the out of the box command Update-SPProfilePhotoStore. So I found what is happening between the import and thumbnail generation. When the import/sync from the AD happens the thumbnailPhoto value is saved as .jpg image in the same picture library with profile photos that also contains the thumbnail versions of the profile pictures. For example if you have My Site host http://mysite.contoso.com, the URL of the library in SharePoint 2013(I forgot to mension that we are working on SP2013 farm) will be http://mysite.contoso.com/User Photos/ and the pictures are in folder Profile Pictures. The thumbnails are named Account_LThump.jpg for large, Account_MThump.jpg, for midsize and Account_SThump.jpg for small. The midsize picture is used as profile photo. So the initial picture are also saved in this library but under a special name like this 0c37852b-34d0-418e-91c6-2ac25af4be5b_RecordID.jpg. Here is the moment to say that we have only one, nonpartitioned User Profile Service Application. The first part if the picture name the guid (exactly this guid) is the guid of the default partition of nonpartitioned UPSA. It is the same on all SharePoint 2013 farms I have seen. You can check it by doing SQL query on the Profile DB, but only on non-production Farm because doing query on this DB is not supported. It is a column of every profile entry in the Profile DB. The second part, the RecordID is a unique ID for every user in the partition. It is just a number not a guid. You can also see it in the picture above, you can also get it with powershell as property of the user profile object. But, so far I haven't found a way to see the PartitionID of the default partition of nonpartitioned UPSA in PowerShell. And when you run Update-SPProfilePhotoStore with the corresponding parameters, it reads the available not converted to thumbnails .JPGs read the users RecordID, creates the thumbnails, add the url of the picture in the user profile and in the general case delete the original(depends on the parameters). So this was our answer on how to upload the pictures from Prod to Staging and get all three thumbnails variants and map the PictureURL property. One additional feature to this method is that for PictureURL is mapped the url of the biggest thumbnail version(not the midsized as if it was imported from AD) and you will have pretty profile pictures with good resolution. Here came the idea for this script. 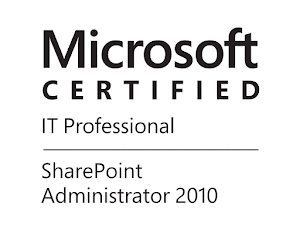 What if there are SharePoint Admins/Customers that do not want to get the pictures from the AD, but they have all the profile pictures and want to mass upload them as if the users have uploaded themselfs. And I came up with this script. You need to run it two times(As Administrator under the Farm account) first time will be generated a CSV file with the RecordIDs,LoginNames and picture paths. The picture path will be empty you should fill it with the local or the network path to the picture. The picture can be whatever resolution and almost any format (JPG,PNG,GIF,BPM,TIFF), the script will convert it to jpeg and upload it under corresponding name. And when you have filled the picture paths you want(it is not mandatory to fill the path for all accounts), run again the script with appropriate parameter for upload and update. You can download the script from the link below, for instructions and examples see the help of the script like this Get-Help .\Upload-ProfilePhotos.ps1 -full . I always put some fair amount of help topics in my scripts.